Redeveloping a historic vineyard is not an easy decision. 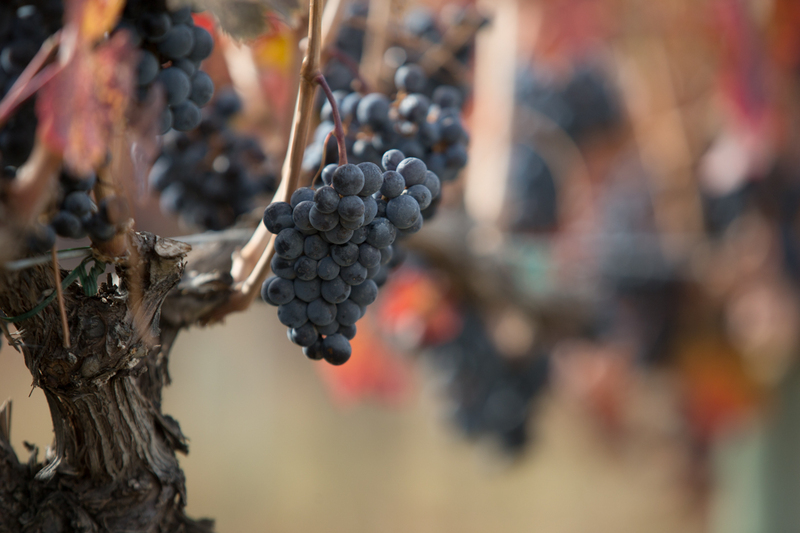 Becker Vineyard was initially planted in 1977 to over thirty different grape varieties as part of the Becker Project. Its potential for Bordeaux red varieties was later identified by Harry McWatters in 1993. That year, Richard Cleave was contracted to plant the property with some of the first Cabernet Sauvignon, Merlot, and Cabernet Franc vines in the South Okanagan. Why redevelop a vineyard after 24 years? It’s more common than you’d think. The iconic Beckstoffer To Kalon Vineyard in Napa is one year younger than Becker and will be replanted in phases beginning this year. But it’s not a decision we took lightly. The quality of the fruit from Becker continues to be exceptional. However, yields are progressively low and unsustainable. 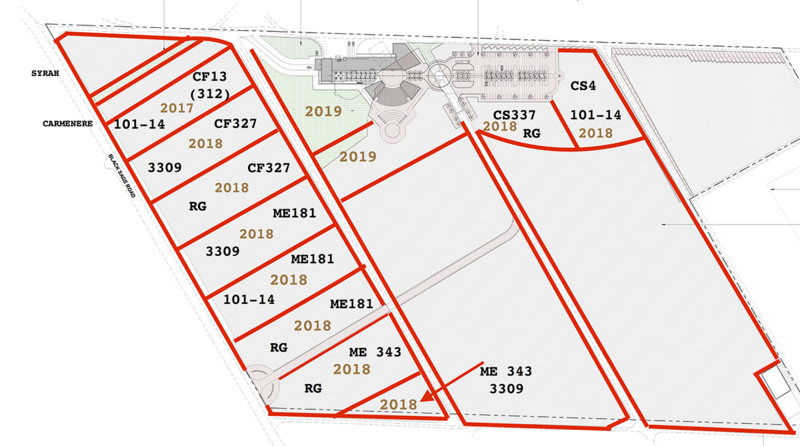 The benefit of redeveloping Becker is the opportunity to update the vineyard design. Ross and John are currently working on the replant plan. Not only will this allow us to refine which grape varieties are planted, we’ll also be able to make changes to clonal and rootstock selections. We’re starting this year with 2.2 acres of Cabernet Franc. From Black Sage Road, you can see our new hand-split cedar end posts and metal line posts in place. Now we’re just waiting on the vines. CF refers to the grape variety, Cabernet Franc. 13 refers to the clone. 101-14 refers to the rootstock. Over time, Becker will be almost completely replanted to Bordeaux red varieties, specifically Merlot, Cabernet Sauvignon, and Cabernet Franc. This means saying goodbye to some of the white varieties previously planted: Pinot Blanc, Sauvignon Blanc, Semillon, and Chardonnay. The sun-catching aspect of the vineyard, combined with the warm climate of the Black Sage Bench, makes it best suited to later ripening varieties. The differences in clone and rootstock between blocks will allow us to bring more complexity of flavours to the palette of the vineyard and optimize quality. The vineyard is harvested and vinified block-by-block. We’re left with many different micro-lots – over 60 in 2016, for example – providing us with a full palette from which to make our blends. With nearly a quarter-century of experience, we can also update the rootstocks we use so that they’re perfectly matched to each block. The focus is now on low vigour, low yielding rootstocks over higher yielding alternatives like SO4. Replanting requires patience. We don’t expect to replant the last block until 2024. And then there’s three more years until the first crop from each newly planted block. But we can’t wait to share the results with you.